The Bransford Webbs Plant Company will be exhibiting at Glee in a couple of weeks to promote the wonderful range of Hellebores available for your plantarea for late winter and early spring sales. Our main feature for the stand will be the fabulous Harvington Hellebores®. We are the only nursery supplying these renowned Hellebores to the whole UK garden centre market, and offer a stunning range of over twenty single and double colours in both 1LD and 2LD pots. Hugh Nunn began breeding Harvington Hellebores® over 30 years ago at his nursery in Harvington in the Vale of Evesham, with the help of his wife Elizabeth. Each new variety was self-pollinated and took at least eight years before it became a viable introduction to the market. Following his retirement from the nursery business several years ago, The Bransford Webbs Plant Company took on the commercial growing of these wonderful plants. Hugh Nunn still breeds Hellebores and is available to advise us when necessary. 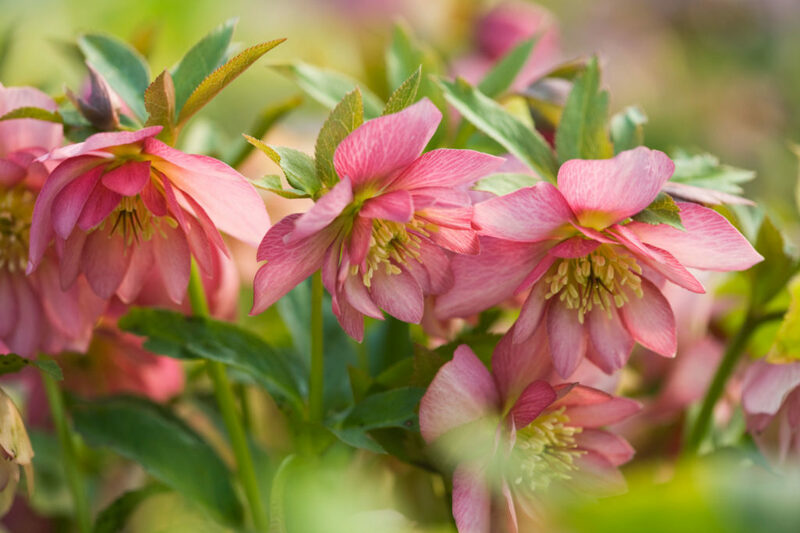 Available in early spring, we also grow and supply the gorgeous Rodney Davey Hellebore Collection. This wonderful selection of Hellebores offers stunning foliage and flower colour interest for early season sales. The flowers bloom in various shades through whites, pinks, purples and deeper reds. Do come and visit us on stand NB56 / 58 in the Green Heart area of Glee to discuss your Hellebore requirements for winter 2018 / spring 2019, any other queries or questions you may have or simply to say hello!